It’s complicated. We’ve said over and over to swath when the main stem reaches 60% seed colour change, and when seeds on side branches are “firm to roll” as shown in the video above. 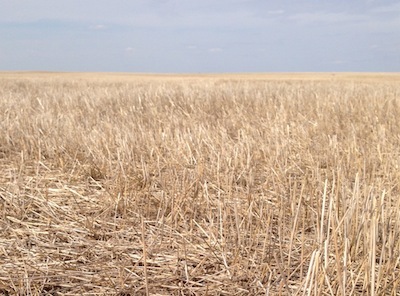 But the decision when to swath is often much more difficult — especially with the advancing calendar, disease pressure and lodging. Straight goods. 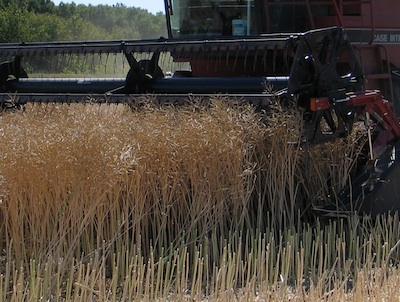 Straight combining canola is a viable option on many farms, and more growers seem willing to give it a try. The best most uniform fields provide the greatest chance for success. One man’s treasure… Effective and sustainable zero tillage and direct seeding systems depend on good residue spreading in the fall. 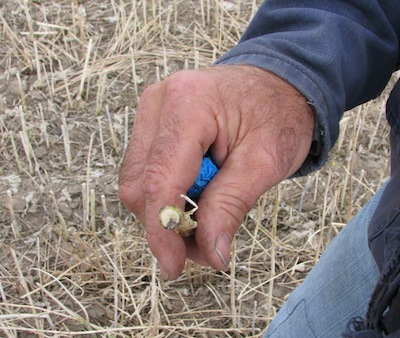 Without that, seed placement becomes a challenge and residue becomes “trash” all over again. Think ahead. Fall isn’t just about harvest. It’s also about gathering information and prepping fields to increase the odds of success next year. See our top 10 considerations. This map from Weatherfarm shows the lows for yesterday. Click here for an online and larger version of the map. Not many areas received frost yesterday, and forecast lows are not showing a widespread frost risk until at least the middle of next week. 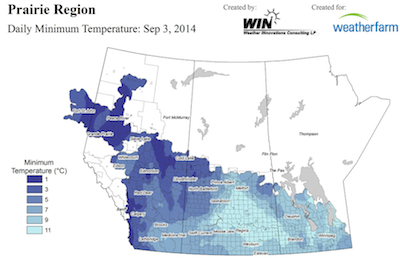 An important factor in canola stand establishment next spring is the crop residue situation this fall. 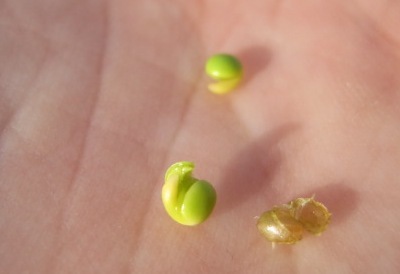 An even mat of cereal residue is preferable to clumpy distribution that can affect drill performance, seed survival and overall crop uniformity next year. Fall is the best time to make sure residue is spread evenly. 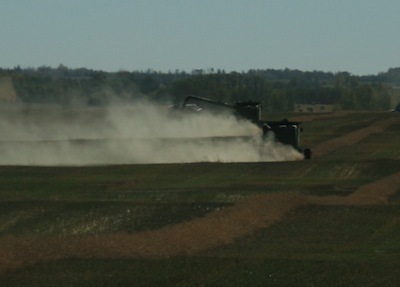 A properly adjusted combine straw chopper and spreader is key, and may eliminate the need for harrowing or stubble burning. 1. Assess the disease situation. 2. Consider disease severity when choosing varieties. 3. 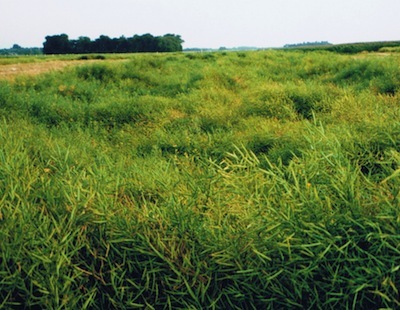 Recognize which issues were agronomic versus environmental. 5. Manage residue with the combine. 6. 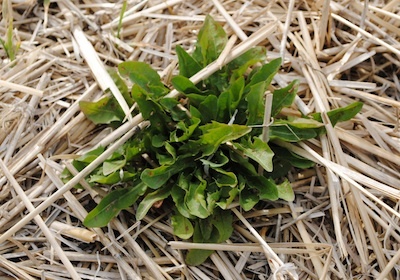 Identify weeds before making fall weed control decisions. 8. Count stems after harvest. 9. Do a fall soil test. 10. 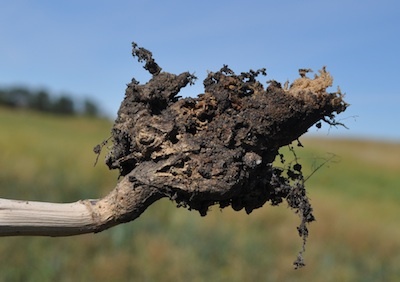 Sample soil for clubroot.